The DISC is a popular and effective personality-profiling tool commonly used to improve work productivity, teamwork and communication. The letters stand for Dominance, Influence, Steadiness, and Conscientiousness. Some people are high in some areas and lower in others but most of us are a varied blend of strengths and weaknesses across the quadrants. For example, if you’re high “D”, you’re assertive; high “I”, you’re a networker; high “S”, you’re dependable; high “C”, you’re organized. However, there is a special DISC profile in which every leader must be high all four areas. That is your leadership character profile. Here, the DISC terminology stands for Discernment, Impact, Strength and Contentment. You need to score significantly in all of these areas to truly be a leader. High “D”: To pass the litmus test of truth, you must have a keen sense of discernment. Some refer to this as your gut instinct or intuition, a heightened ability to sort the wheat from the chaff, even a spiritual gift. It is most certainly all of the above. If you don’t have it, you will make decisions based on distortions, emotions, ego, and even outright lies. High “I”: How do you measure your impact as a leader? Do you leave an organization with more leaders than when you started? Or is it the proverbial, “When the cat’s away the mice do play”? Do you only make an impact with your physical presence? Or can the effects of your leadership on the organization be felt and referenced for years to come. No one is indispensible. They key is how long your impact is felt after you leave the building, or this planet. High “S”: You have to be strong to have the character of a leader. You have to be strong enough to deal with the fact that all people are flawed and that we simply do not have the ability NOT to let each other down. The sooner you realize this, the sooner you’ll learn not to put your expectations in people. You’ve got to put it toward the vision, the purpose, and the mission. It’s lonely at the top. You’ve got to be resiliently strong of character to handle that and be ready to pay the price of leadership of character. Your personality is one thing. You can be strong in some areas and not in others. Not so with your character. 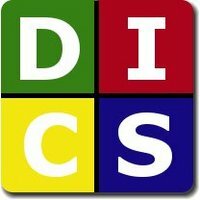 A leader must assess highly in all four areas of the DISC profile, not just one or two. Your strengths, not your weaknesses, are what define you as a leader. So put yourself to the test and determine if you are cultivating your discernment, impact, strength, and contentment with the journey! Responsibility: Peter Drucker said, “Leadership is not magnetic personality. It is not making friends and influencing people. Leadership is lifting a person’s vision to higher sights and raising performance to a higher standard.” Yet with every breach that’s broadcast, those in the perpetrator’s chain of command continue to circumvent and pass the buck. No one can be a rogue operator in your team because they are in your direct chain! Just because you didn’t know, or you turned a blind eye, does not absolve you of responsibility. You cannot dodge responsibility. Doing so only shows that you are truly unfit for leadership. To learn what lack of responsibility can cost, read A Ticking Time Bomb, by Joseph I. Lieberman, which painfully details the abject failure and gross negligence of the entire chain of command throughout Ft. Hood gunman Nidal Malik Hasan’s military career. Respect: Elbert Hubbard said, “If you work for a man, in heaven’s name work for him! If he pays you wages that supply you your bread and butter, work for him, speak well of him, think well of him, stand by him and stand by the institution he represents. I think if I worked for a man I would work for him.” There’s an old adage that says a wise traveler never despises his own country. Now I have worked for some pretty despicable organizations, but while I was working for them I worked as hard as possible to uphold their standards, even if my own bosses did not. You see, no one can make you do anything illegal, immoral, or unethical. If your employer tries to make you do such things, you need to seek employment elsewhere and use the chain of command to bring it to the attention of others. To respond in kind to their behavior is unacceptable. Two wrongs never make a right. Recent examples of this are found in headline names such as Julian Assange, Bradley Manning, and Edward Snowden. Reading: Oscar Wilde said, “What you read when you don’t have to determines what you will be when you can’t help it.” Let’s face it, you are what you read. If you are not reading books that help you grown and realize your own personal convictions and develop your courage, you are wasting your time. What a person has on the bookshelf is a far better indicator of what’s really gong on inside them than any polygraph. You can lie through your teeth to your boss and he may never suspect otherwise. 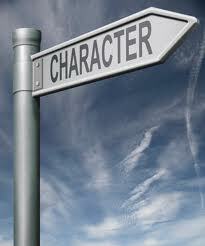 But your actions will eventually reflect exactly what is going on at the core of your character. Elizabeth Cady Stanton said, “Self-development is a higher duty than self-sacrifice.” To learn more about the virtues of reading in a leader’s life check out the Top 8 Ways to Unleash Success at Your Company. All leaders are readers. If you’re not reading personal development material, you’re not leading. It’s that simple. One of my favorite reads is John C. Maxwell’s, There’s No Such Thing as “Business” Ethics. He’s right. The bottom line is that only commitment can ensure compliance. No amount of non-disclosure, background checks or polygraphs can do that. If your character isn’t totally squared away to the point that you are ready to fall on your sword to protect what is moral, ethical, and legal, then you’d better not accept one iota of responsibility. Leakproof leadership is based on choosing your thoughts and actions based upon your values and not upon personal gain. Your convictions mirror your character. So take a good look at yourself in the mirror to make sure you are fit to report for leadership duty! I’ve heard my father give this speech hundreds of times. In fact, it was a major section of his bestselling motivational classic, Life Is Tremendous. The Three Decisions: Who are you going to live your life with, what are you going to live your life doing, and who you are going to live your life for. I know my father worked very hard and came from humble beginnings, but I always kind of assumed that he was one of the very few who just got it right the first time. After all, he married my mother at 20 years of age and they stayed married for the next 60 years. He was a world-renowned motivational speaker who had a certain charisma that was unrivaled. His faith in the almighty God after he became a Christian at 23 was as pure and radical a transformation as Paul’s on the road to Damascus. So easy for him to make these decisions, right? Wrong! When you read The Three Decisions you will see a man who made a decision and then spent his life committing himself to it. There was nothing easy about it. Committed people only look that way to outsiders. This is such a rarity these days we just assume great fortune or that the stars were aligned when someone leads a charmed life. There are no charmed lives. There are only those who live life giving their all to what they’ve committed to with their decisions. His lifelong mantra was that if what you’re going to get supersedes what you’re going to give, you’re in the wrong ballpark. In other words, if you are always on the make for a better person, job, or god based on what it’s going to do for you, you aren’t even alive. But when you are so ready to commit to one person, one passion, and one master that you’d give it all up, then you are capable of making the three most important decisions of your life and to live life tremendously and triumphantly.